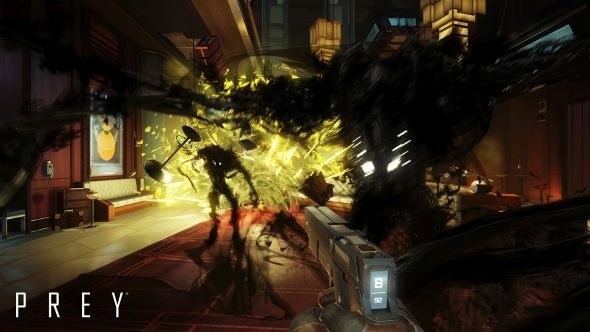 Wondering exactly how much Prey mashes together Dishonored and System Shock? This trailer is here to answer just that. With light commentary from two senior members of the development team and the odd cut from action to action, everything from weapons to powers is explored in eight minutes of spooky space station action. All that above. For a little more, have a look at Prey’s showing from The Game Awards last night. Still no word on a more exact release date for Prey beyond fairly soon, 2017, but it’s looking fairly polished already. It may end up being key to Arkane’s future fortunes depending on the eventual fate of the excellent but underselling Dishonored 2. It’s also the cover game for the January issue of GameInformer, so expect some more info to leak out of that as we move through the month. Already there’s some new concept art, including the first proper shot of Morgan as a woman. The main thrust of GI’s initial teasing is information on how decision making affects gameplay and story, particularly the Chaos-like system of picking between traditional armaments and technology, or plasmid-like alien powers, effectively magic, and hostility from more factions. Specifically how stealth plays into all this remains to be seen, and could be where Prey diverges from Dishonored-in-space more significantly.